Safeguarding and maintaining health & safety in the workplace is an important prerequisite for motivated and productive working processes, both for employers and employees. The new ISO 45001 standard for occupational health & safety management will supersede OHSAS 18001, the previous standard for occupational health & safety, and will minimize the risk of damage to health and accidents in the workplace. BS OHSAS 18001 was developed by the British Standards Institution (BSI) and forms the basis for the new ISO 45001 standard. The ‘Project Committee PC 283’ of the International Organization for Standardization (ISO) received a proposal from the BSI in March 2013 for the new international standard, which was now published on 12th March 2018. We have summarized important questions and answers arising in connection with the new ISO 45001 standard in our FAQs. 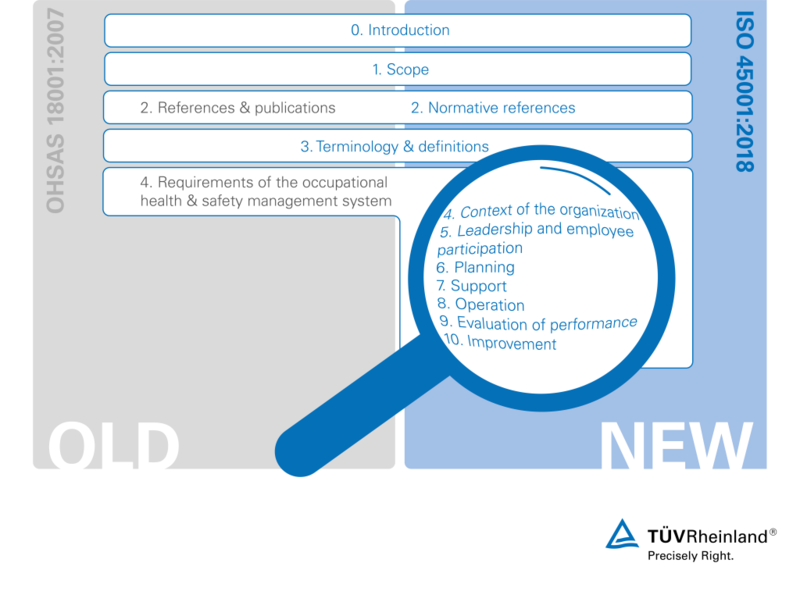 Would you like to find out more about the certification for optimal occupational and health & safety management in accordance with the new ISO 45001? Our experts would be delighted to provide you with this information! The new standard focuses on preventative employee protection and greater involvement from the management team. The structure of the standard permits simple integration into previously implemented management systems and the standard can be utilized regardless of the size of the company. Our information brochure also offers you a summary of the most important information. 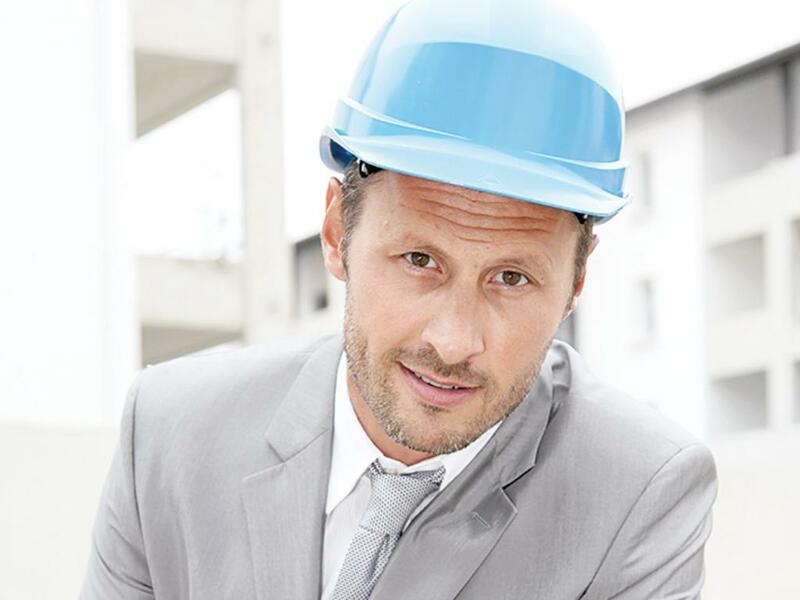 At present it remains possible to obtain and implement OHSAS 18001 certifications. However, organizations are strongly encouraged to become now acquainted with the requirements of ISO 45001, as the new version of the occupational safety standard must be implemented by March 2021. By following a systematic standard for your occupational health & safety protection according to ISO 45001, sources of errors and risks can be identified and eliminated or minimized. By means of certification of your occupational protection management you will thus significantly reduce the number of occupational accidents, regardless of your industry or the size of your company, and you will simultaneously fulfil legal and official requirements. 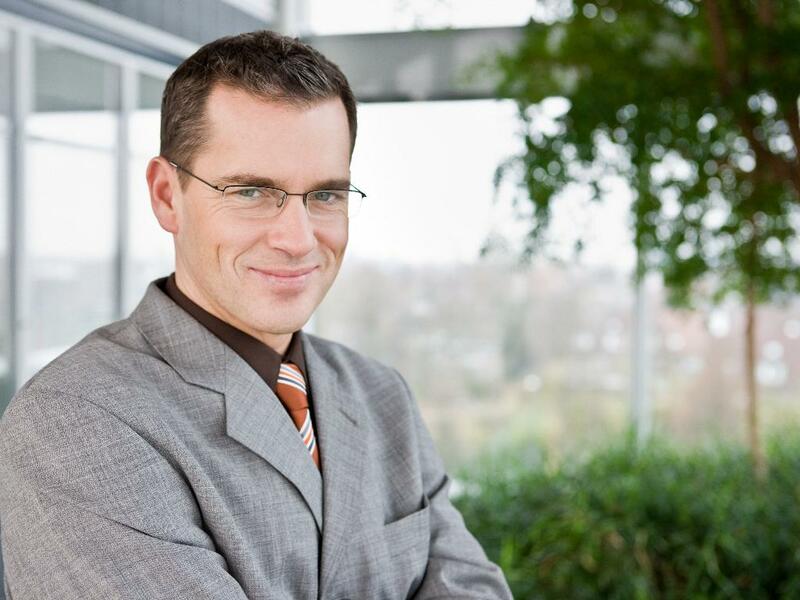 You will therefore not only increase the confidence of your employees, you will also reinforce your positive reputation with clients, business partners and the authorities. This creates a valuable competitive advantage for you. Our experts have many years of experience with management systems and in the field of effective and sustainable occupational health & safety protection. We will check and certify your company according to ISO 45001. If you are already certified according to OHSAS 18001, we support you in implementing the new requirements of ISO 45001.There will be a three-year transitional period from the current OHSAS 18001 standard to ISO 45001, so the transition must be completed by spring 2021. We will support you in implementing the requirements and will permit a smooth transition to the new standard. Do you still have questions on the new ISO 45001 standard? Arrange an appointment with our experts now! From OHSAS 18001 to ISO 45001: What Does This Mean For Safety Leaders? We certify your environmental management systems according to ISO 14001.